PBS hit series “Daniel Tiger’s Neighborhood” is the legacy of “Mister Rogers Neighborhood.” Similar to the iconic childhood show filled with imagination, life lessons, and puppet friends, “Daniel Tiger’s Neighborhood” is also centered in a make-believe world. Daniel, the animated tiger, wears a familiar red sweater and he and his friends learn social skills necessary for school and life. 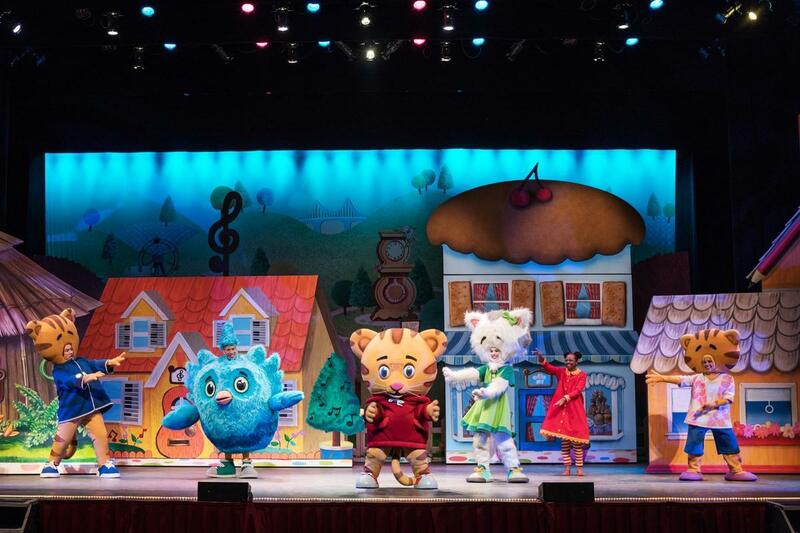 The show uses musical strategies developed by Fred Rogers and with the help of imagination, creativity, and story telling, the characters and audience learn about the life of a preschooler. “Daniel Tiger’s Neighborhood” was the second highest rated TV program across all networks for children ages 2 to 5 in February 2015. Now your family has the opportunity to see “Daniel Tiger’s Neighborhood” in person where you will explore the Neighborhood of Make-Believe. In this vibrant and interactive musical Daniel will take the audience on a trolley-ride and share his stories or friendship, helping others, and celebrating new experiences. This is one grr-ific experience you and your preschooler will want to attend.